Ahead of the company's second-ever women's Royal Rumble match and potentially the first women's WrestleMania main event in history, a couple of segments have called the presentation of WWE's women's division into question. WWE's promise of change appears to include taking the on-screen product in a slightly more risqué direction. On back-to-back nights, that was evidenced by angles involving Alexa Bliss and Mandy Rose. With Heavy Machinery debuting on the main roster, Shane Thorne is replacing Otis Dozovic in the Worlds Collide tournament that’s taking place at Royal Rumble Axxess. The tournament features wrestlers from NXT, NXT UK, and 205 Live, with the winner getting a title shot on any of those brands. 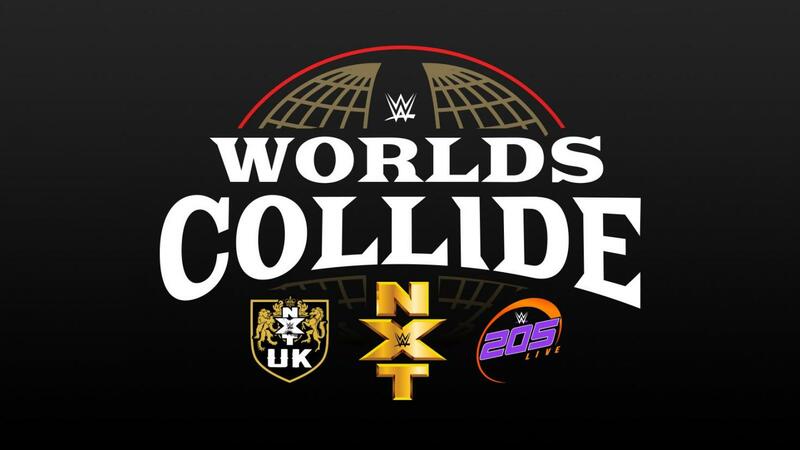 Worlds Collide is being taped for a WWE Network special, though further details on that have yet to be revealed. NXT UK TV tapings had already been announced for Royal Rumble Axxess, and it was noted this week that the tapings will be for three episodes. Brie Bella spoke to Digital Spy about the reaction she received after accidentally injuring Liv Morgan. She was asked if it was important to have Total Bellas as an outlet to tell her story: “Yes, it definitely is, because first off it’s crazy how I’ve been wrestling for 12 years and one of my major mistakes in the ring I get judged so harshly on. We’re not perfect, no one's perfect, you know how many people have been injured in the ring? But for some reason I was like showcased in such a way of like, this evil person, and 'look what she’s done' and I got bullied really bad. I wanted to run into a cave and you’ll see. I don’t think people have ever seen me break down as bad as they will during the whole Liv situation. I went into deep depression. I didn’t know if I was going to be able to go back to work. All the horrible things people were saying about me, I felt a thousand times worse than the things they thought of me and I really had to sit down and think to myself, ‘Brie, you’re a mother’ and if Birdie was in this situation would you want her to feel this bad or would you want her to stand up to it and be like ‘Screw you guys?' I made a mistake and she’s not badly injured and you know what, this is our business, this is what we all signed up for. Everyone’s going to see backstage even how Liv and I were with each other. Out in the WWE ring, we have to play so much, bad guy, good guy, don’t talk to your competitors, but backstage you’ll see that we’re all really close and it affects us. We never want to go out there and hurt each other so when it happens it’s emotional. But people are going to hear my side of the story and my voice and how it’s about damn time that trolls stopped going on the internet and bullying everyone." Sunday’s episode of Total Bellas averaged 460,000 viewers, which is down from 505,000 viewers for the season premiere and is the lowest number in series history. The rating in the 18-49 demo this week was a 0.20. Jeffrey Pollack has been named as president and chief operating officer of the XFL. Pollack had been the Los Angeles Charger’s chief marketing and strategy officer and a special advisor. Dakota Kai noted that yesterday was day one of her rehab from ACL surgery. Ronda Rousey appeared on the latest episode of Kevin Hart’s “Cold as Balls” video series. TV Insider interviewed Finn Balor ahead of his Universal title match against Brock Lesnar at the Royal Rumble. WWE uploaded a video of Hulk Hogan reflecting on today being the 35th anniversary of him defeating The Iron Sheik for the WWF World Championship. Joe UK has a feature story on NXT’s United Kingdom brand. Wrestlecon announced that PAC will be wrestling at multiple shows and signing at their convention during WrestleMania week in New York City. Bandido vs. Rocky Romero is set for ROH’s Road to G1 Supercard show in San Antonio this Saturday. Women of Honor World Champion Kelly Klein will also defend her title against Sumie Sakai in San Antonio. The show will feature the semifinals and finals of ROH’s Tag Wars tournament. The Street Profits (NXT’s Angelo Dawkins & Montez Ford) defending their EVOLVE Tag Team titles against AR Fox & DJZ is set for EVOLVE 121 in Atlanta on February 15. At EVOLVE 122 in Concord, North Carolina on February 16, EVOLVE Champion Austin Theory will defend his title against Anthony Henry. Curt Stallion has signed with WWN. MLW has announced a grudge match between Kotto Brazil and Ricky Martinez for their TV tapings at the 2300 Arena in Philadelphia on February 2. Alexander Hammerstone has signed with MLW and will debut on February 2. Eli Drake tweeted a picture of him and Taya Valkyrie with The Undertaker at Shot Show 2019. Jake Hager (the former Jack Swagger) said the advice Vince McMahon gave him for his Bellator debut is “don’t lose.” Hager also mentioned Rey Mysterio and Roman Reigns as two others who have reached out to him. After Henry Cejudo appeared on Ariel Helwani’s MMA Show and talked about sitting next to Nikki Bella on a flight and having a crush on her, Nikki responded to Cejudo and teased training with him and grabbing a drink. The UFC is targeting Yoel Romero vs. Paulo Costa for the main event of their ESPN show on April 27. Romero is currently on a reality show in the Dominican Republic. Walt Harris has been temporarily suspended after testing positive for LGD4033. Fabricio Werdum helped rescue a teen from drowning at a beach in California. Rory MacDonald will defend his welterweight title against Jon Fitch in a Welterweight Grand Prix first round match at Bellator’s show in San Jose on April 27.